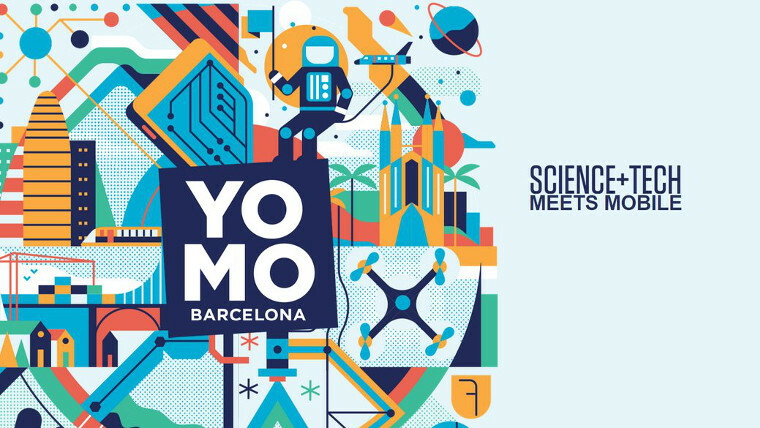 On 27 and 28 February from 9 am to 4 pm, the Institute of Materials Science of Barcelona (ICMAB) will be at YoMo with an interactive stand to enhance the creativity of the students that will attend this festival, and introduce them to the materials science and nanotechnology world. 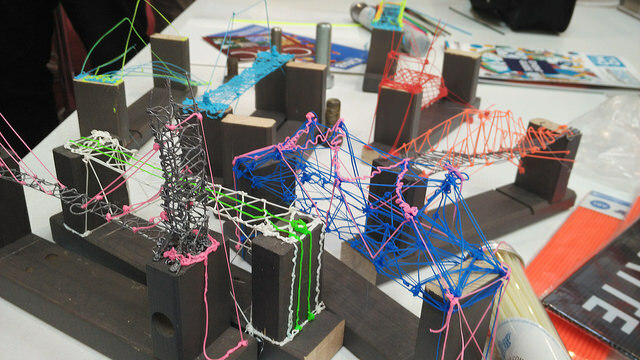 The ICMAB already participated in the previous edition of YoMo with great success with the construction of bridges in 3D. In fact, thanks to this participation and success, the activity of 3D bridges took place later in Barcelona Maker Faire, in June 2017, and in the "Science in Action" fair, in October 2017, with Andrés Gómez and Guillermo de Andrés Iglesias leading the project. This year, the ICMAB participates at YoMo with an interactive stand: CR3ÐTIVITY. Visitors will have the chance to experience the greatest power of the human being: creativity! They will have at their disposal some sheets of white paper in the form of a set of boxes and some large letters in 3D. We will have pens with 3D ink available to all the children that visit us, and they will be able to express themselves, not only in 2D, but also in 3D, bridging bridges, or any structure that goes to them. Andrés Gómez, technician at the AFM lab at ICMAB, will be in charge of this activity! Look and draw materials: YOU CAN TOUCH THEM! In addition, we will also have a sample of some of the materials prepared in our research center, and visitors will be able to touch them, try them, see their properties and also draw them! We will have a lot of colored pencils and waxes, and blank sheets for children to draw scientific concepts "Draw a scientist; and a female scientist? ; Draw a nanoparticle; Draw graphene; Draw a solar cell ... ". We love scientific illustration, and we think that drawing is a good tool to increase the imagination and to learn at the same time. Alejandro Santos, librarian & documentalist, and sketcher, will be in charge of this activity, together with Anna May, Comm. & Outreach Officer at ICMAB. On February 28, we will also enter the world of minerals and crystallography: we will have a set of minerals, and we will be able to see their properties and their presence in our daily objects. Moreover, we will enter the world of electronic microscopy, which allows us to see another scale of the objects: would you like to play memory with us? Anna Crespi, technician at the X-ray diffraction lab, and Judith Oró, technichian at the transmission electron microscopy lab, will be in charge of these two activities! Have you ever wondered why you have to charge the battery of your smartphone every night? Or how could we efficiently recover the energy of the sun? Or are there really nanocapsules for treating cancer and how are they manufactured? All these issues are related to the new nanomaterials of the future. Materials for solar cells, batteries, magnetic memories, nanomedicine ... ICMAB conducts leading research in all these fields, we will explain all this and much more to our visitors! In addition, Dr. Ana M. López-Periago, from the Solid State Chemistry Group at ICMAB, will give a talk at the Dome on "Materials and technologies that respect the environment". This will be on Wednesday, February 28 at 2:15 p.m, and is open to 40 attendees. These are just some of the activities that will be at our stand. If you want to experience them, rather than only read about them, you will have to come! Thank you to Dani Jiménez and to all the YoMo team for counting on us and making this event possible. It will be great!